Search Nbtrade.com.au listings for canapes, banquetes, formal functions, sweets and more! Any occation that requires a catering service we have you covered. Don't waste precious time getting lost on the web with misinformation. Nbtrade.com.au providers have done the hard work for you, so it can be a quick and easy experience when looking for your catering service. Specialising Northern Rivers and Gold Coast search Catering Coolangatta, Catering Byron Bay, Catering Broadbeach, Catering Tweed Heads.With trusted and reliable listings toy are provided with all contact details, general information and more. 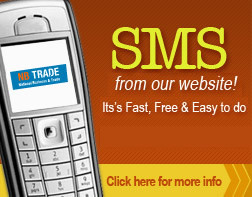 With fresh, creative, seasonal and quality services why look any further then Nbtrade.com.au catering directory. Our listings offer a range of services to accommodate your needs and special requirements. Email or SMS straight from our Catering directory. Don't be bombarded with misleading advertising, confusing claims and simply bad information. Nbtrade.com.au provides all the information you need. From contact details to specialties. Helping you source Catering of the highest quality of care. Look no further then Nbtrade.com.au with the best and most popular in our local area.